The 1990’s was the time of the great Disney renaissance, when some of the most beloved Disney animated movies of all time were being released. Also at this time, several other animated studios like Warner Brothers, Amblin Animation and Don Bluth studios tried desperately to bank the success of those movies by re-creating the exact same formula. Most Disney imitators from the 90’s were lousy, lacking the magic that made those films so great. 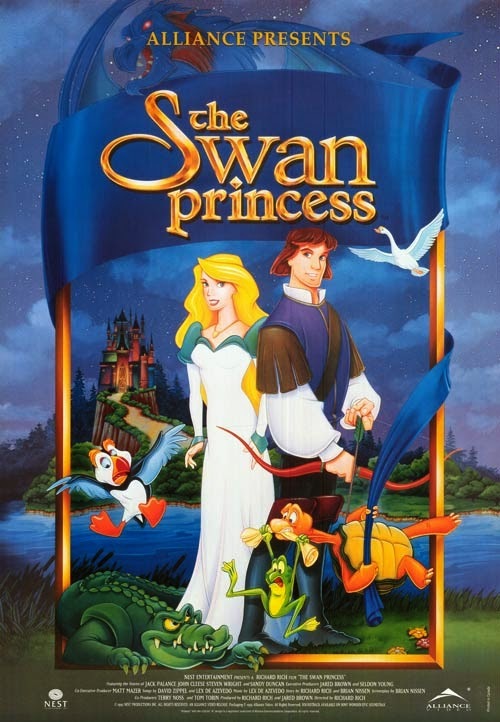 However, there were a handful decent non-Disney animated films that came out around this time and one that I remember fondly growing up with was the 1994 animated motion picture titled “The Swan Princess”. Even though this wasn’t the most original animated, non-Disney movie, it at least captured that same Disney magic very well and I still have a soft little Nostalgic spot for it. 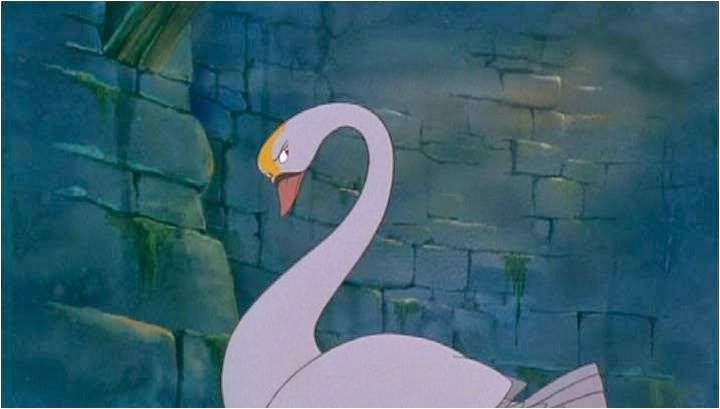 “The Swan Princess” is based on the classic fairytale “Swan Lake” and slightly based on the ballet of the same title. It was distributed by a company called “Turner Home Entertainment”, which mostly specialized in home video cartoons, so this was a big project for them. The Director of the movie is Richard Rich, who had just left the Disney studio to run his own animated company called “Crest Animation Productions”. Now Richard Rich was involved in a lot of Disney movies from the 1970’s and 80’s, in fact he’s probably best known for directing the 1981 Disney classic “The Fox and the Hound”, which is personally one of my favorite Disney movies of all time. So this guy had a pretty good resume before he took the job and he certainly knows how to direct an animated movie, giving it a magical overtone, and making every shot in the movie a colorful spectacle. 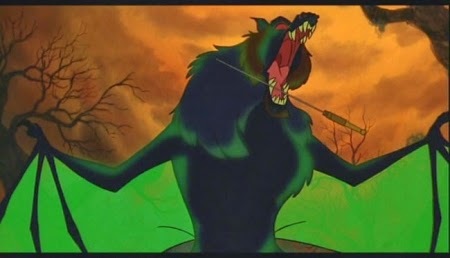 The film also provides a talented cast of voice actors including John Cleese, Jack Palance, Steven Wright and even Sandy Duncan, who coincidently also did voice work in “The Fox and the Hound”. The premise goes like this, a king and queen from two separate kingdoms want to join their land together and the best way to do that is through marring their children. Instead of forcing them to marry, they make the young princess named Odette meet the young prince named Derek every summer in hopes that they will fall in love over time. At first they’re annoyed by one another, but naturally they form a strong bound by the time they become adults. Full of blind love, the prince wants to get married right away, but our princess wants to make sure that he loves her for who she is and not just because she’s beautiful. 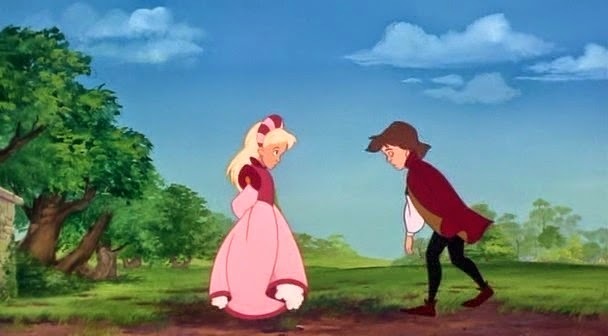 When she asks him, the prince gets cold feet and can’t find it in himself to give her a proper answer. Feeling ashamed, he goes through an internal struggle to understand his genuine love for her. 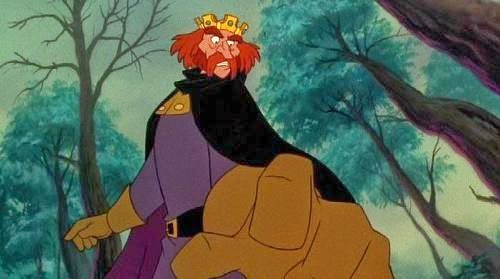 Before he can get a second chance to redeem himself, the princess is captured by an evil wizard in an effort to rule the Kingdome. 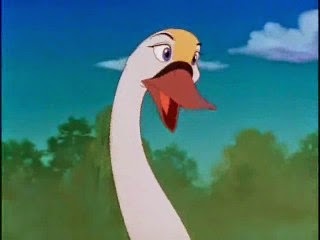 To make sure she never escapes, he places a spell on her that keeps her human as long as she’s on the grounds of swan lake, if she leaves, she’ll transform into a swan. From that point on we meet colorful characters, battle monsters, sing some catchy songs and all the good stuff you’d expect from an animated movie. 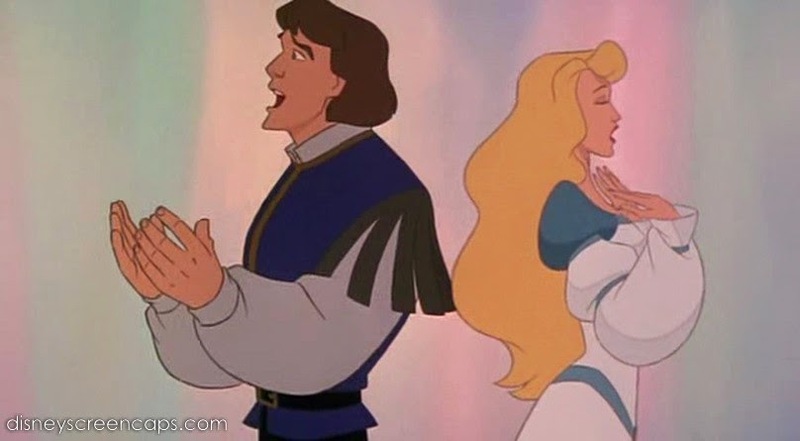 While the relationship between the Princess and the Prince isn’t especially captivating, it’s the concept of them trying to understand their love for one another that makes it work. Most movies have the prince and princess falling in love automatically, but in this film, there love is genuine but they need to discover why it is. This pays off fairly well in the end and the two characters do share some genuinely sweet scenes together. It isn’t nearly as strong and something like “Beauty and the Beast” but it works just fine. 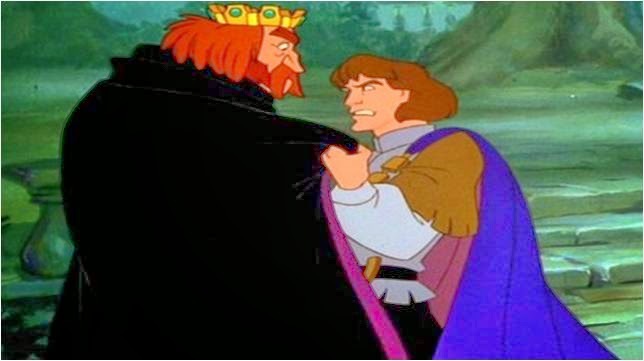 Prince Derek is a decent lead hero, he’s a lot more active than most animated prince characters, but there’s nothing that special about him either. Princess Odette on the other hand honestly outshines most of Disney’s classic princesses. She’s active, she’s smart, she has a sweet voice, she doesn’t complain about her status, she has an excellent design, it’s everything you’d want from an animated princess and more. 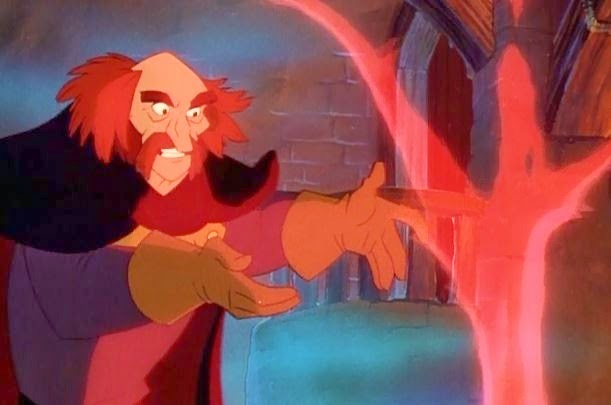 As you’d expect from the casting, Jack Palance supplies the voice of the villain, the evil enchanter named Rothbart. While Jack Palance is an awesome actor, and delivers a classy evil voice, the character himself is nothing special. 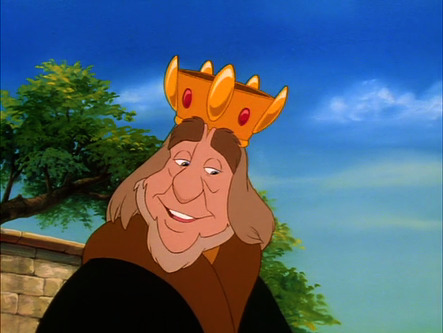 He’s a generic antagonist, with your basic goal of marrying the princess and taking over the Kingdome, nothing special. To make things worse, his villain song titled “No More Mr. Nice Guy” is one of the stupidest villains songs I’ve ever heard, it’s so long, annoying, has a dull melody, stupid lyrics and some really horrible singing voices. Now to be fair, he isn’t a completely terrible villain, Jack Palance dose supply a cool voice, some of his magic powers are really cool, the design isn't that bad and he even has a monster form, which is awesome, he just isn’t all that interesting as a character. Thankfully, the supporting characters in this film are wonderful. John Cleese and Steven Wright supply the voices of our comedic duo, a frog named Jean-Bob and a Turtle named Speed. I love these two, they balance off each other so well with their unique personalities and antics. I’m not even a fan of Steven Wright but he fits the role of Speed so well and it’s hard not to love John Cleese, he’s actually one of my favorite English comedians of all time and this is the movie that introduced me to him. There’s also a Puffin character, who can be funny at times and contributes as the brains of the group. All three are enjoyable to watch and the situations they get in are a lot of fun. 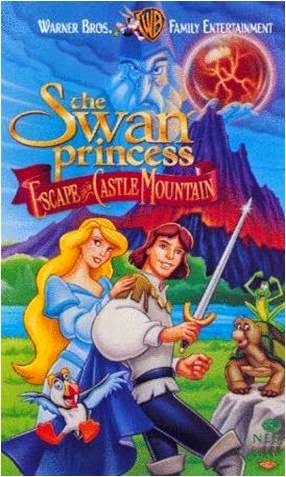 There’s a scene when our swan princess is being held captive in a flooded dungeon, and it’s up to our three hero’s to find a way to break her out. What follows is one of the wildest and most entertaining scenes in the film as our trio battle ferocious alligators and swim though Swan Lake in an effort to save their captured friend. The pacing in the film is very good and the story has a nice flow. However, there are some inconsistencies in the plot that may be distracting. 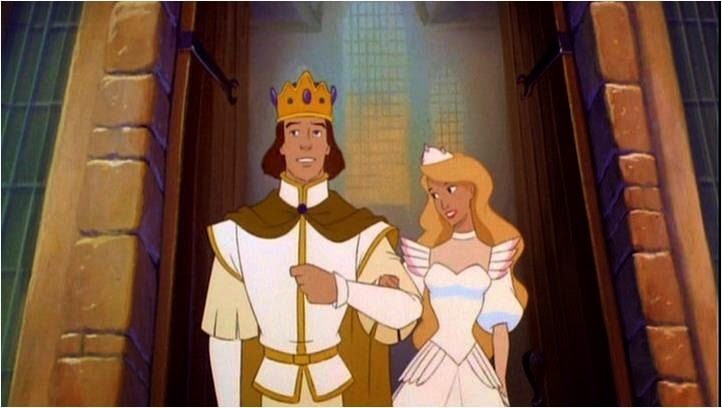 For example, Princess Odette has a father named King William, who along with his Kingdome are introduced as a very important to the film. But then the king is killed about 18 minutes into the movie and no one seems to be that bothered by this, all the characters just go on their marry way like he didn’t matter, no one talks about him, even the Princess never mentions her diseased father once throughout the film. It just kept eating at the back of my mind, doesn’t anyone care about this dead king, and isn’t anyone going to talk about this. We never even find out what happened to his Kingdome, and that’s a huge problem because the villain’s whole plot is to take over said Kingdome, but we never see it again, and for all we know, the whole realm went under after the king died, the movie’s just really week in explaining that. It’s also very obvious that many of the scenes in this movie are directly inspired by other Disney movies. The climax to this movie is practically a cut in paced of the ending from Disney’s “Sleeping Beauty”, we have a princess who falls in a sleep like death, a prince riding out to save her while slashing his way though lots of sharp trees, a villain who transforms into a giant winged monster and it even wraps up with our hero slaying the monster by impaling it through the heart with a sharp weapon. 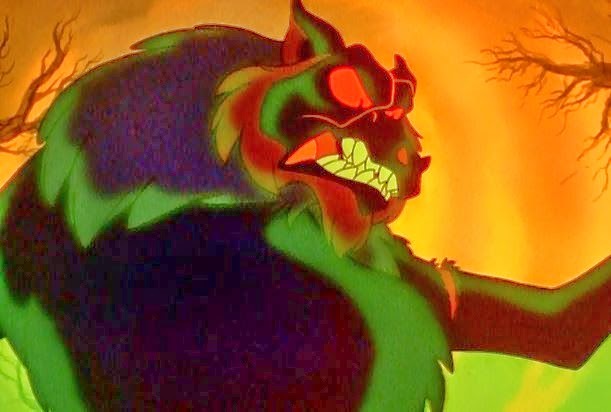 Now to be fair, it’s still a fun monster fight, the creatures design is cool and the final scene in which the prince finally understands his love for the princess is genuinely touching. 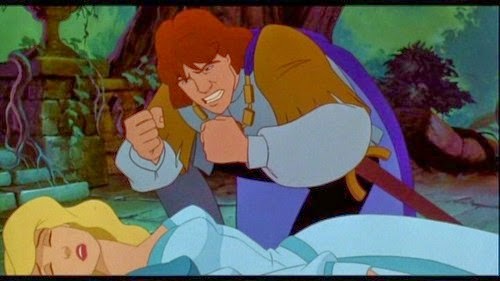 I’d actually go so far as to say that this movie ends on a far stronger note Disney’s “Sleeping Beauty” did, despite all the similarities. 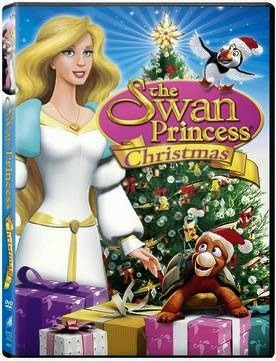 Now I’ve never actually seen the “Swan Lake” Ballet or listened to the music from that Ballet, so I don’t know for sure how much of the music is original or made for the movie. But I will say that I loved the instrumental soundtrack in this film, it’s all very subtle, relaxing and fits the film very well. The songs in this film, for the most part are actually quite good. Most of them felt like actual songs you’d hear on a Broadway show. The opening song titled “This is my Idea” is like a 15 minuet long exposition song that sets up the story, characters and themes in the film, and it’s all conveyed fairly well through some really up beat music. 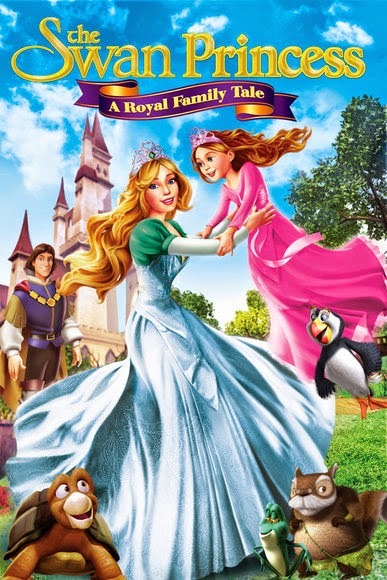 There were some annoying or average musical numbers in there, I already mentioned the terrible villain song, but then there’s songs like “Princesses on Parade” that have nothing to do with the plot and are really just there for filler, but at the same time, it’s lively, and it’s fun to watch. Then there’s a song called “Practice, Practice, Practice”, which is definitely up beat and fun, but you won’t be thinking about it after-words either. 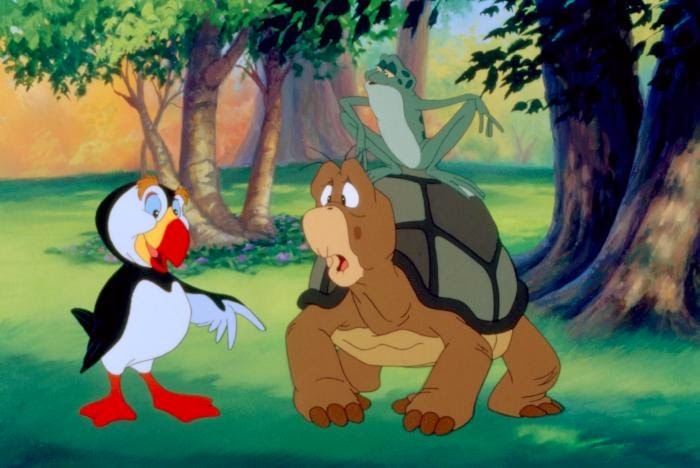 One of the more clever musical numbers is titled “No Fear”, which is provided by our three fun animal friends as they go on a little min-adventure, which also helped movie the plot forward. My favorite song by far is the duet song between our Prince and Princess titled “Far Longer than Forever”. I swear, if this film had been released under the Disney banner, this song would be put amongst some of Disney’s best musical numbers, it’s so simple, yet so uplifting and it conveys that exact same feel that most of Disney’s popular hits convey. 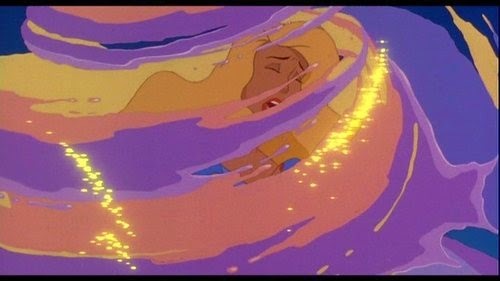 Finally, the most popular song associated with this movie is titled “Eternity” and performed by a group called “Dreams come True”, who apparently were really popular at the time. The song itself is good, and it gets one heck of a music video to go along with it, filled with some really creative props and elaborate sets. The animation in this movie is honestly some of the most dazzling I’ve ever seen in a traditional 2D animated movie. It’s all very colorful to look at, the detailed scope in each shot is just so lively and vibrant, you could watch this movie on mute and still be satisfied. For whatever it’s worth, this movie also features one of the most spectacular title screen’s I’ve ever seen. While the plot is nothing out of the box, this movie definitely succeeds at just being a satisfying experience. I really like this world that the film creates, l love looking at all this colorful hand drawn animation, I enjoy listening to the songs, and I do like most of these characters. It may come off as average to a lot of people already familiar with this Disney style formula but there’s nothing that bad about it either. It’s kind of like ordering an ice cream from a common ice cream shop, you know it’s not going to taste any better or worse than every other ice cream you’ve ordered but you still enjoy it and it leaves a good taste in your mouth. Holy cow, after all these years, I think that was my very first food analogy. At the time of its release, there was a lot of publicity surrounding this movie, and it was even sponsored by organizations like Kinder-vision, which specialized in child safety protection. Unfortunately, the film turned out to be a bomb at the box office. To be honest, I think it had more to do with the fact that its competition at the time was Disney’s smash hit “The Lion King”, so it was really dead on a rival. Over the years, it’s grown a fan base, and those of us who've grown up with this movie still have some nostalgic fondness for it. There were even two direct to video sequels that came out in the late 90’s, which fans appreciated but I didn’t care for them all that much. There have even been two CG spin-off films from this movie that came out recently in the early 2010’s. I never saw them, and heard they were poorly received by fans and critics alike, but I was still very surprised and even slightly pleased to see advertisements with all these familiar characters in it. It actually makes me wonder why there was such a sudden revival of this series that started years ago back in 1994. To sum things up, of all the Non-Disney movies that have tried to recreate the traditional Disney formula, this is arguably one of the better films. 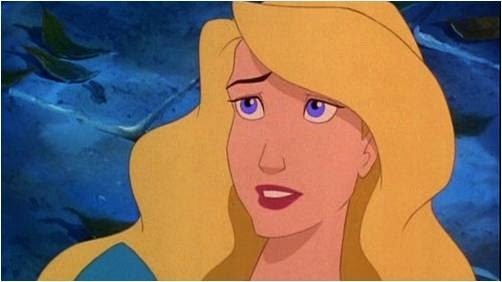 In fact, there was another animated movie that came out that same year by Don Bluth titled “Thumbelina”, which was an atrocious movie by comparison and a shameful attempt to cash in on Disney’s successful movies. 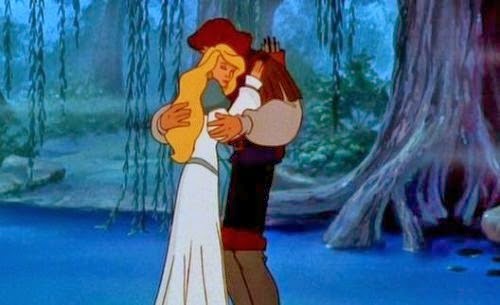 While “The Swan Princess” isn’t a masterpiece by any means, it’s at least a decent film, with some splendid animation, memorable characters and plenty worthwhile musical numbers. Despite trying to be the next big Disney movie, it can at least stand on its own as a worthwhile film. If you’re fond of that same formula that made Disney’s animated movies from the 90’s so great, you’ll probably like this non-Disney movie just fine. 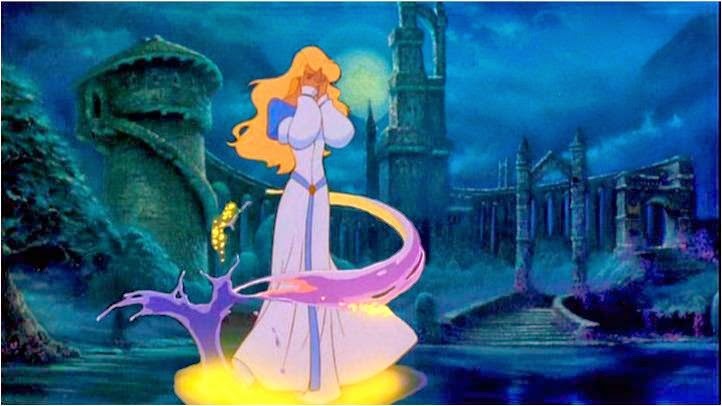 I give “The Swan Princess” 3 ½ stars out of five, which means, it’s worth a viewing.